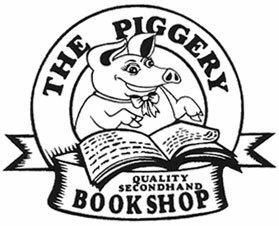 The Piggery began life in an former piggery outhouse at the Whangarei Heads. 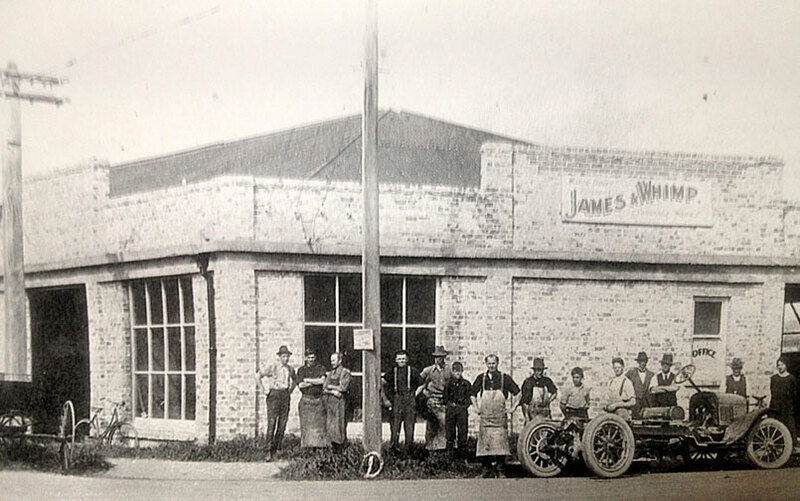 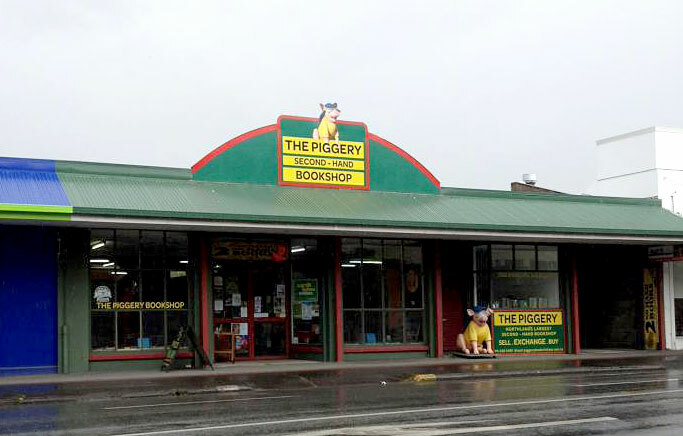 Used as overspill storage for the then owner's Auckland store, locals soon learned to "peruse the piggery" for secondhand books. 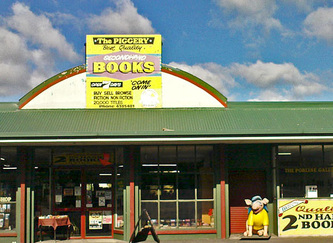 Moving into Whangarei, as a branch of the famous "Hard To Find Books", the store itself started out in Rathbone Street behind Storytime Books & came to rest in its current location in Walton Street in the mid 1990s. 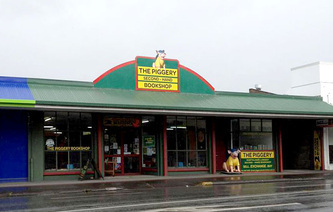 Changing hands in 2007, the current owner was very keen to keep the iconic name. 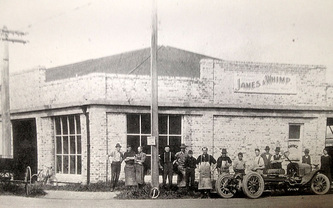 The shop itself was formerly a garden centre, and before that, a motorcycle mechanic's workshop - hence both the crabapple and banana trees in the back yard and the oil stains on the floor!